Morgan State has decided to “go in a different” direction with its head coaching position after a 1-10 season. 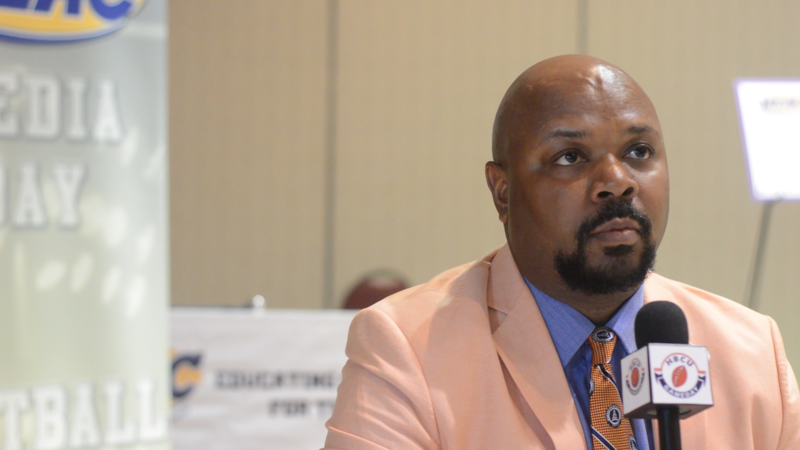 Don’t look now, but another MEAC football program has made a change at head coach. Morgan State has removed Fred T. Farrier, the school announced on Monday. Ernest Jones will serve as interim head coach for the 2018 football season. Serving as associate head coach and defensive coordinator under Farrier, Jones has FBS experience at Notre Dame, UConn and Buffalo as well as Alcorn State. Farrier went 4-18 record in two seasons as head coach, his first in 2016 as an interim. MSU went 1-10 last season. Farrier’s removal means five MEAC teams will start the 2018 season with different coaches than it finished the 2017 season with. FAMU, Hampton, NCCU and Delaware State will all be under new leadership next year.